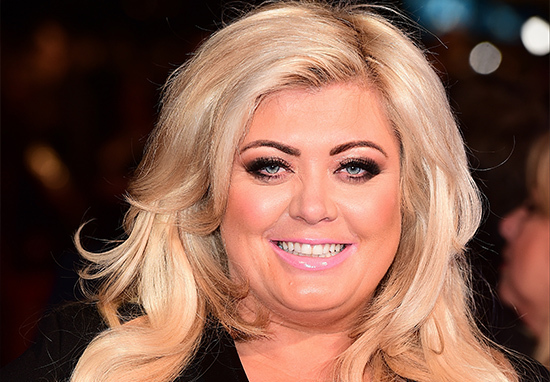 Gemma Collins collapsed on the floor of a bathroom this morning after suffering extreme stomach pains. The Queen of Reality TV is in the wars again, having been discovered on the bathroom floor by her make up artist, who called for rapid medical attention, at 9am today. The GC might be suffering with painful kidney stones, amid fears for her health, according to a source and now, private doctors have rushed to the 36-year-old’s side to attend to her and she may need to be admitted to hospital if the situation doesn’t improve. Gemma had filming commitments this morning but everything has ground to a halt following her shock collapse. She was getting ready for the day at her makeup artist Lisa’s home and then nipped to the bathroom. The next thing Lisa knew was Gemma had fallen to the floor – so she called for immediate medical attention and may now need to go to hospital. Gemma has struggled with some ill health recently after suffering with kidney stone symptoms. Family and friends are hoping she’ll make a rapid recovery but for now TOWIE filming has been put on hold. Back in stock online only ??? www.gemmacollinscollection.com sizes 16 to 26 ?????????? Queen of reality TV, Collins, was supposed to be on set of The Only Way Is Essex later this evening, but has cancelled filming due to her health concerns. It’s the second time Gemma has fallen ill in recent days – last week, she was forced to pull out of a club appearance in Sheffield after being struck down with cystitis. Her doctor forced her to stay in bed and rest up – before she returned for filming of TOWIE’s Christmas special. The GC has been in the wars of late. The good-natured Essex wit made BBC headlines when she fell through a stage live on television, as she was attempting, in no graceful terms, to present an award at the BBC Radio 1 Teen Awards 2017. Afterwards, GC worried her fans after posting a video, in which they noticed some pretty nasty injuries as a consequence of the downward drop. Holidaying in Tenerife, Gemma took to poolside to post a swimsuit selfie, thus is 2017 and in the process, showed off her body confidence, as well as her bruises. Many Internet Detectives credited the bruises, which covered her side, arm and chest, to the ‘stage fall‘ and sent warm wishes hoping the holiday would help the professional recover. I’m in a bit of shock still, I am in a bit of pain this morning but I found the whole experience absolutely hilarious. The seriousness of it is that it could have been fatal because what people don’t see is that under there it’s all machinery. It could have been fatal but it wasn’t so you’ve just got to dust yourself off – it was the best moment of my life to stand on stage at Wembley Stadium but I just wish I hadn’t got so excited and spun round to give them the award and fell in the hole. The incident will just be catalogued as yet another moment when the Internet can’t help but love ‘the GC’ for her self-deprecating nature, if not her career choice in reality television. We hope Gemma gets well soon!